Origin of name  It is believed John Ashby named his plantation in honor of his ancestral home, Quenby Hall, in Leicester, England (3) (4, p. 165). Current status  The house was moved to Halidon Hill Plantation in 1954.
? 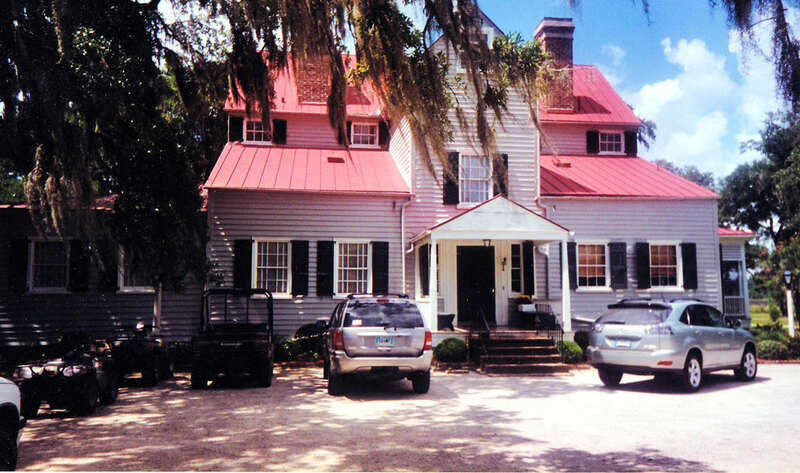  Richard and Thomas Shubrick acquired the plantation from the Ashby family (4, p. 165). 1781  A battle during the Revolutionary War occurred at a bridge near the plantation where British forces sought refuge at the plantation. The Shubricks still owned the plantation at this time (4, p. 165) (5). 1792 or 1802  Roger Pinckney purchased the plantation from Thomas Shubrick (1, p. 3) (4, p. 166). Circa 1800  House constructed in the Federalist style (1, p. 2). 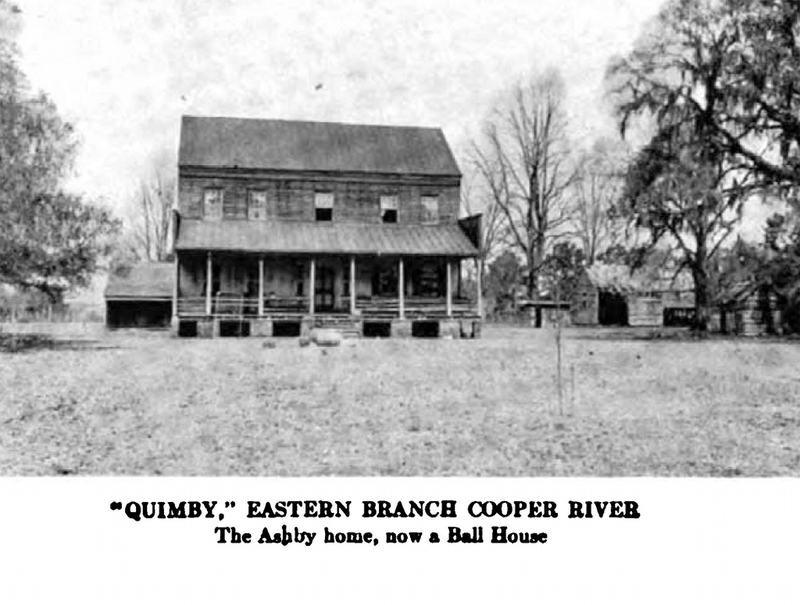 1815 or 1816  Roger Pinckney sold Quinby to John Ball. Ball had purchased it for his son Isaac (1, p. 3) (4, p. 166). 1825  Isaac Ball passed away leaving Quinby to his daughter Jane Ball who was married to John Gibbes Shoolbred (1, p. 3). 1932  Jane Ball Shoolbred willed the plantation to the six daughters of her brother William James Ball. The sisters still owned the plantation in this year (1, p. 3) (4, p. 167). 1950  The Ball family sold the plantation to lumber company (1, p. 3). 1954  The house had greatly deteriorated and was going to be destroyed. Mr. and Mrs. Thomas Huguenins obtained the house and moved it four miles to Halidon Hill Plantation (1, p. 3). The property retains the foundation of the house that was moved (2, p. 19). There is a slave cemetery thought to date from the eighteenth century (2, p. 19). 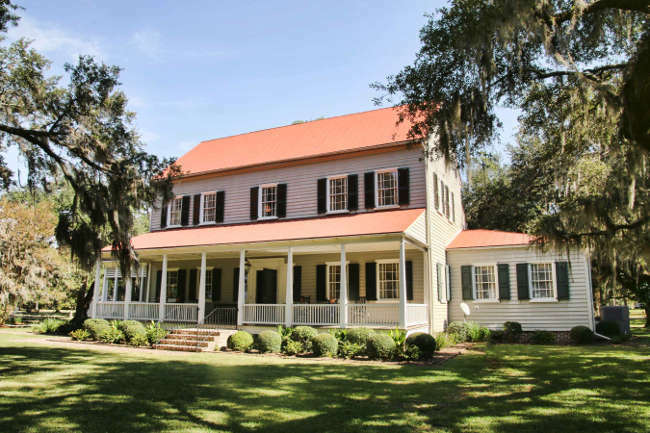 The house was moved to Halidon Hill Plantation in 1954. Just the house's foundation remains on Quinby Plantation.